With all of the great new products for the home out there (and the many important jobs you need to get done to make your home the way you want it to be) there is an amazing class of home goods - real hand-knotted oriental rugs - that has been sadly overlooked in recent years. 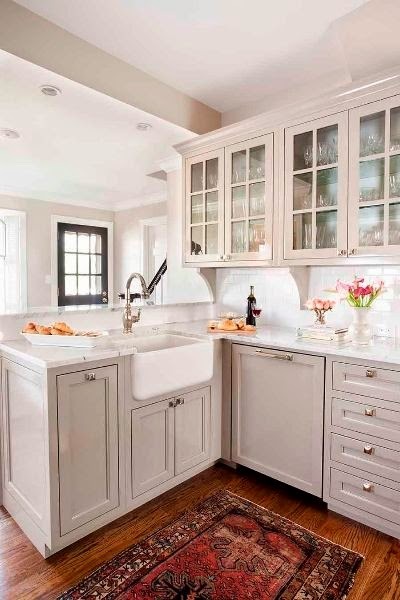 The result is that many wonderful rugs are looking for homes; homes they were made for; homes they could make more beautiful; homes to which they are willing and able to give everything they have for a lifetime to make the homeowners proud and happy. In the hope that many of these wonders of creation can find a place in your heart and your home, you are invited to come meet them and get to know them this weekend at Brandon. See if there's a special one here for you; one that makes a connection with you. If you think a lasting bond could form, you are welcome to take any rug home (or Brandon will deliver it for you FREE) to try it for a few days. 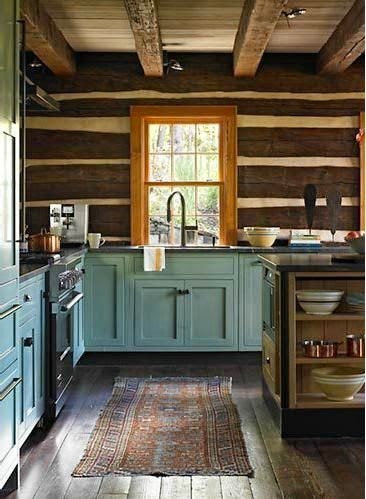 See if your home and a beautiful handmade rug (that is looking for a home like yours), belong together. This is a casual event, and no pressure of any kind will be exerted. But maybe just maybe there's a fine oriental rug here that has been waiting since its creation to have a chance to make someone like you very happy for a very long time. Many wonderful rugs are waiting and hoping to find people and homes that they can make happy. If you have a heart for fine handmade rugs, there are rugs looking forward to being at the heart of your home. 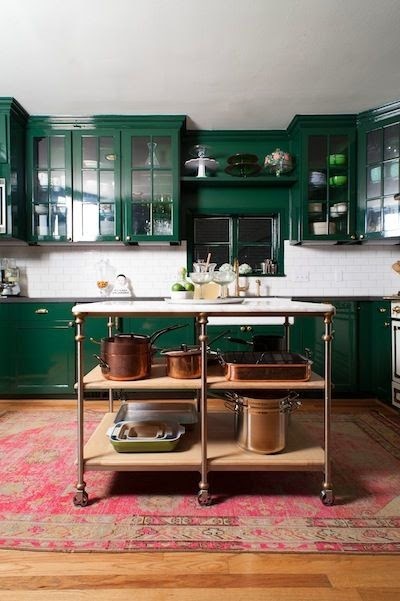 Oriental rugs that are old and worn can still look fabulous; and add a natural, organic warmth to balance the sometimes industrial, too utilitarian character of modern kitchens. 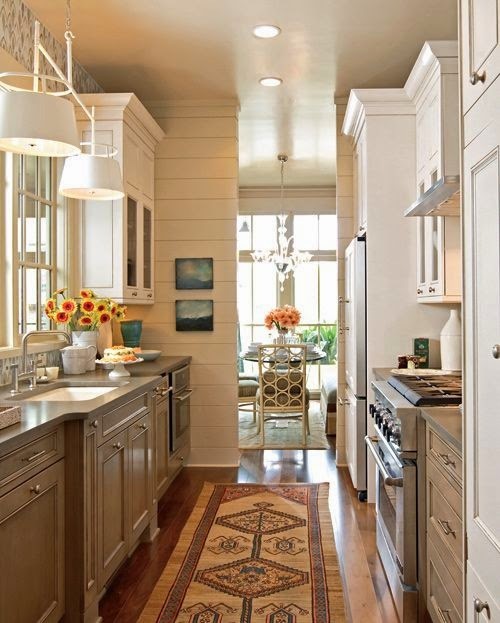 As you look at these pictures, consider how much each rug is doing to enhance its space. the choice to use it look absolutely brilliant. A somewhat rare hand-knotted 9x9 round rug was chosen by our customers in New Hope, PA (Bucks County) for under their kitchen table to assure that the chair legs would all remain on the rug when guests were seated. 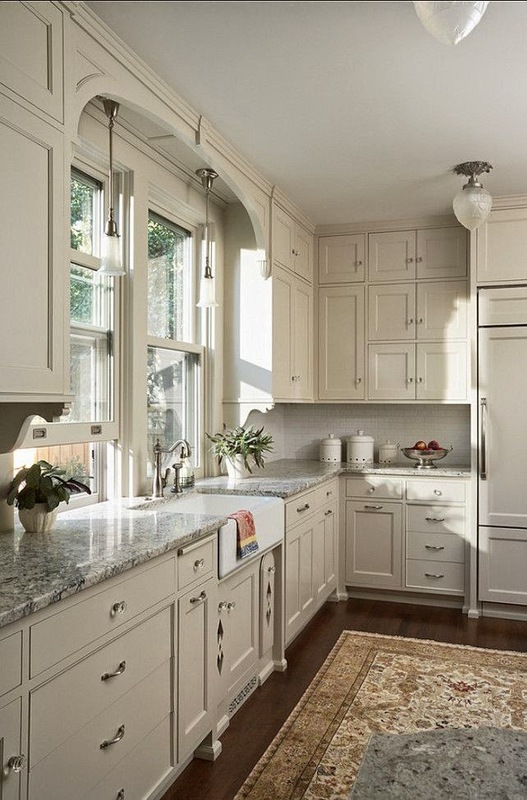 A small galley kitchen gets the big treatment (and looks so much bigger for it) by placing a lovely camel hair, hand-knotted Persian Hamadan oriental runner on the floor. of the handmade runner puts a lot of energy in this room. And that looks like the right prescription. installed kitchen; and is up to the task. life; a quiet support for all those years. many times. It always looks, and works, great. 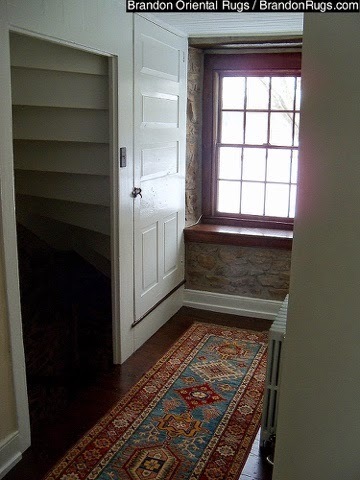 Our customers in New Hope, PA (Solebury Township), who are renovating a two hundred year old farmhouse selected a bedroom rug from Brandon Oriental Rugs (see: http://bit.ly/17eP1dM ) and wanted to complete the hallway outside of the room with rugs appropriate for the character and age of the home. After considering many possible rug styles through the use of Brandon's Rug-Search(tm) service, they settled on a pair of Kazak reproduction rugs. The runner is a Pak-Kazak; and the 4x6 rug is an India Kazak reproduction. The Kazak style is extremely popular with designers and homeowners who have rustic style homes that welcome the boldly colored geometric character of this rug class. This video was produced by Brandon Oriental Rugs (serving all communities within a seventy-five mile radius of our store just outside of Doylestown, PA) for Presidents Day Weekend Sale Celebrations; specifically those related to oriental rug sales and especially those offering large discounts of 50% OFF to 85% OFF. 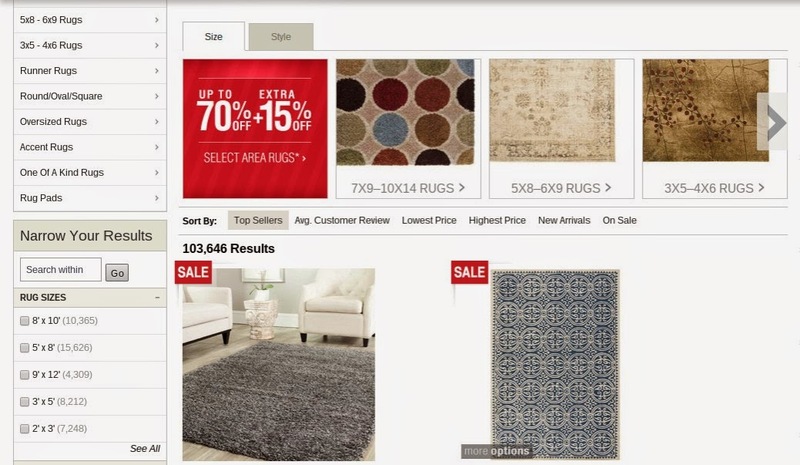 It has application though for consumers at all times who are thinking about purchasing a rug (or any fine home furnishing item) at one of those BIG discount sale promotions. Brandon likes to look at our approach to rug pricing as a "New Style Rug Sale". 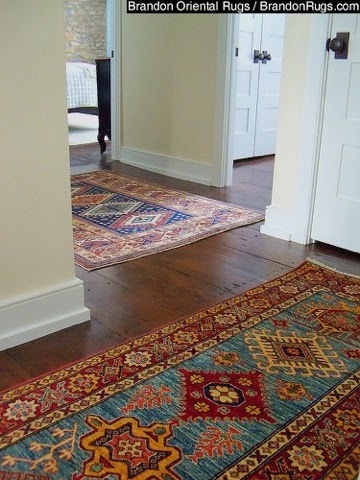 http://bit.ly/1A1A4Wn : Looking for a Rug Sale in Bucks County, Montgomery County, or the Lehigh Valley? Doesn't your home, the place you have imprinted with your unique tastes and vision, deserve something better than "off the rack" rugs to cover the floors? Do you want rugs for display in the showcase of your home that were found deserving of no better display than being rolled up on warehouse shelves? Does clicking through thousands of confusing rug images with intangible descriptions really offer value in your rug search considering you've built your home at every other stage using the help and skill of experts with whom you've been able to discuss and share your vision? 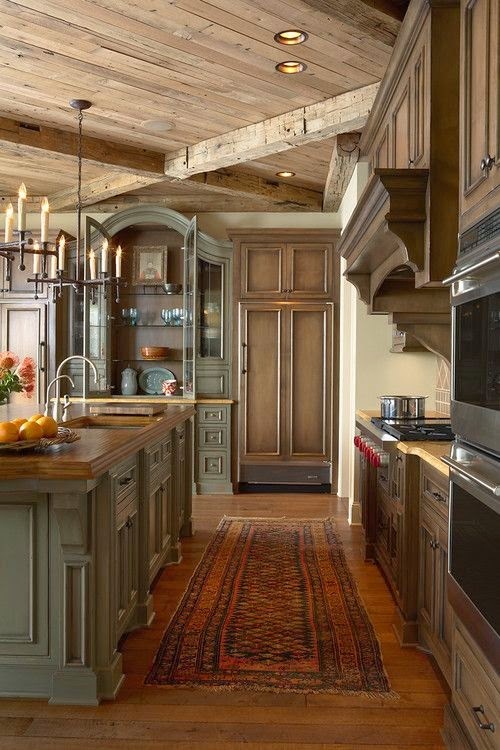 Given what you've realized above, doesn't it make sense to use the help, answers, and service offered by Brandon Oriental Rugs when you go shopping for fine quality handmade area rugs? All of the rug inventory at Brandon Oriental Rugs is selected to honor specific customer requests for rugs of a particular quality, size, color combination, style, or price-point. We find the fine handmade rugs our customers are hoping to find for their homes and professional offices: sometimes it is just one rug that can be found nowhere else; sometimes it is a roomful of rugs to consider because of the value each one might offer in satisfying specific requirements of a search. Send us pictures of what you are doing and would like to accomplish using rugs in your home; or bring pictures of your rooms to our store; or invite us to visit your home so we can discuss and show the options and benefits available to you using real handmade rugs. 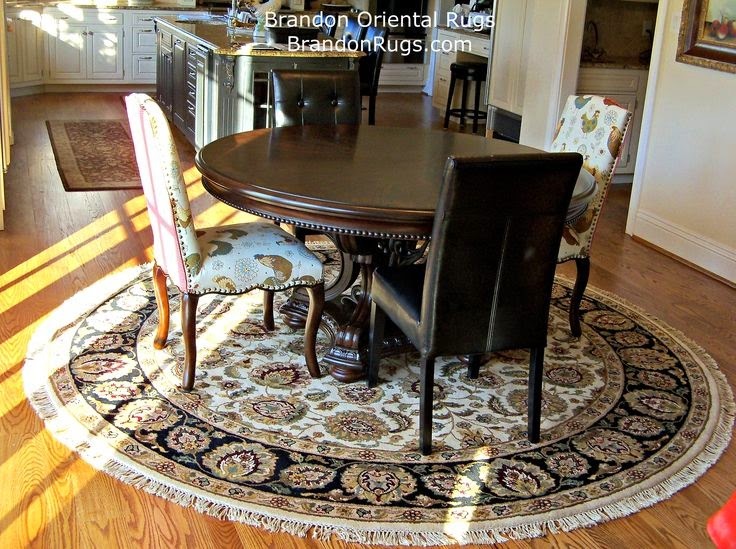 Brandon Oriental Rugs is more than just a rug store, we are a service. 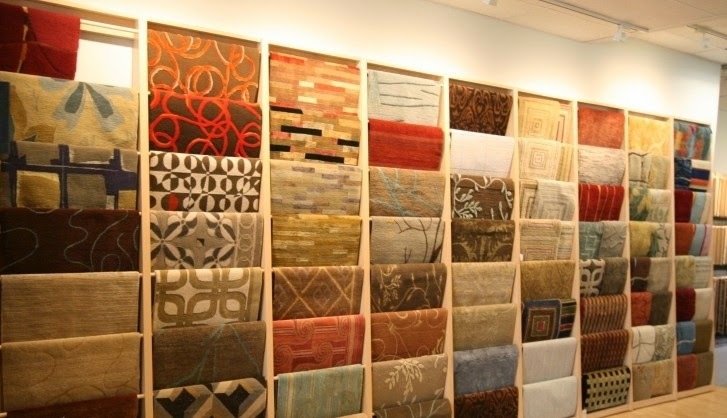 We make it easier to find and acquire the rugs you want. 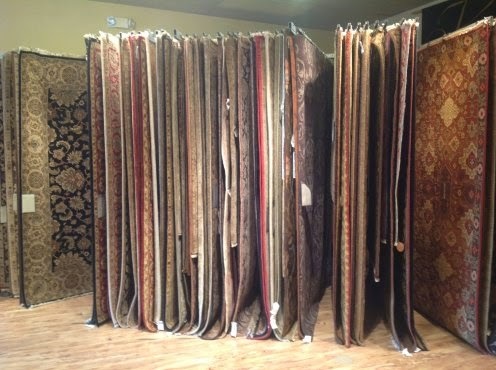 We save you time, effort, and cost in your rug search. You'll spend less for the quality rugs you want; and get better quality rugs for what you want to spend. Every rug that is available to us we can make available to you for consideration in your design projects. When rug shopping, there's no reason to DIY when Brandon Oriental Rugs exists to do it for you more easily, and at no extra cost. Do you really want to spend hours clicking through thousands of rug pictures online in hopes of finding the best rug to satisfy all of the things you need the rug to do in your room? Surely it's easier to send Brandon an e-mail (or pick-up the phone and call us 215-794-2300) to take advantage of our user friendly service that will help you put real rugs on the floors of your home. 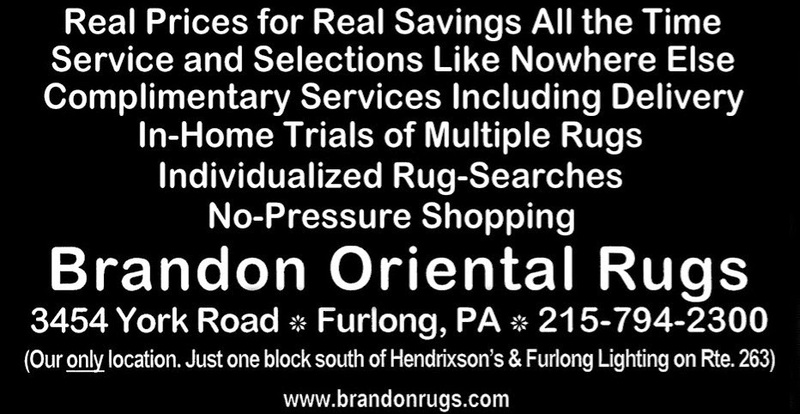 Brandon Oriental Rugs is a specialty oriental rug store located just outside Doylestown, PA in southeastern Pennsylvania and serving the Greater Philadelphia area (including Bucks, Chester, Delaware and Montgomery Counties); Central and South Jersey (including the Jersey shore); and the Lehigh Valley. We are only minutes from popular destinations like New Hope, Lambertville, Peddlers Village, and Newtown. And if you can't make it to us, we're happy to arrange to bring as much of our store as you'd like to see to you. 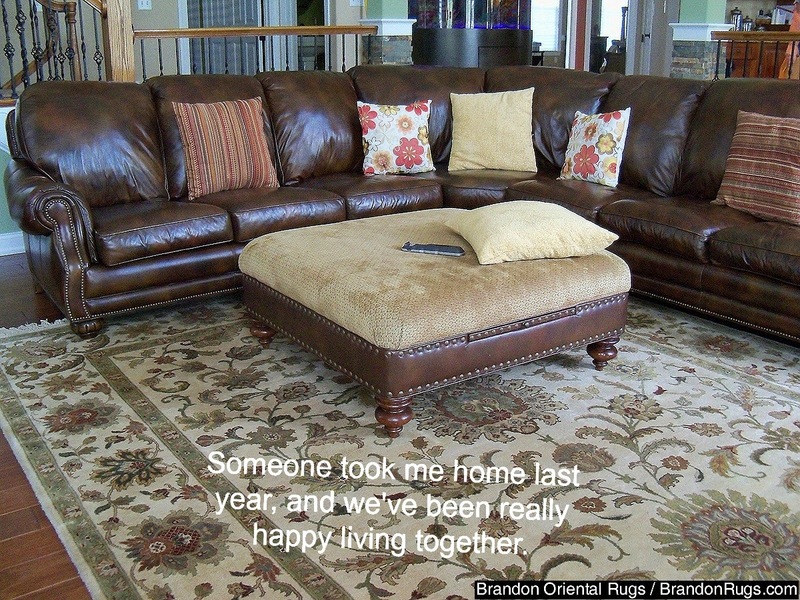 Brandon's proprietary Rug-Search(tm) service helps our customers save time, effort, and cost finding the fine quality handmade area rugs they want. 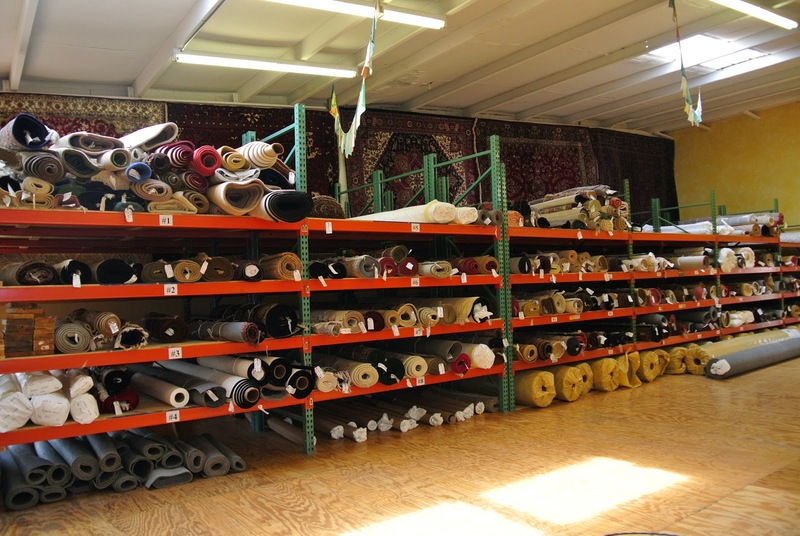 We are a full service rug store, providing rug cleaning; rug restoration and repair; rug padding; and rug appraisal services. 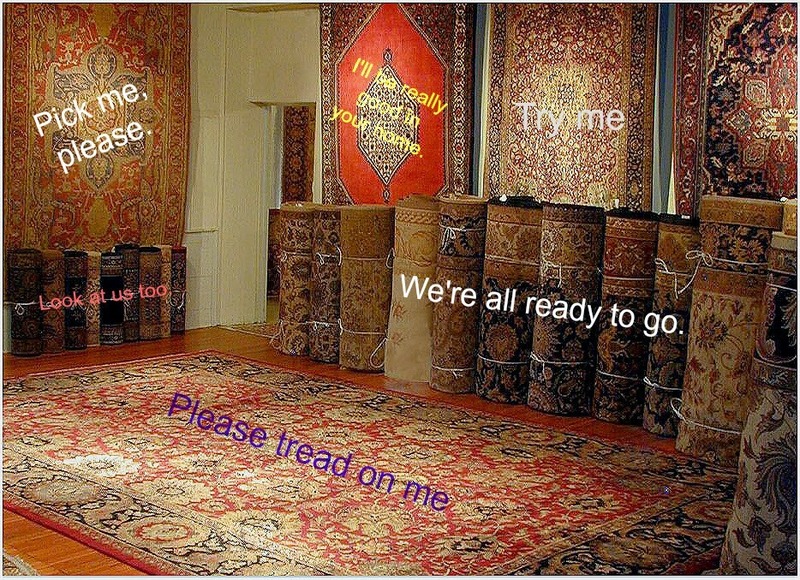 We welcome anyone with an interest in oriental rugs to visit or contact us. 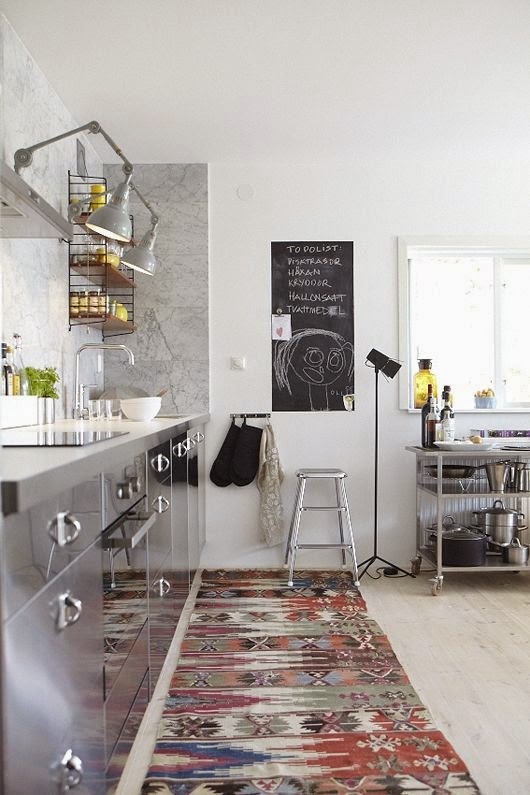 Whether you are a rug connoisseur or merely curious, you will be amazed at how the right handmade rug can make any room or area of the home or office a more beautiful and functional place.